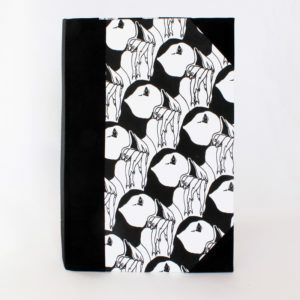 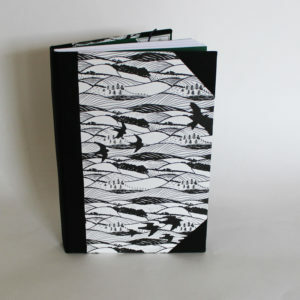 A5 chunky notebook, sketch book or journal. 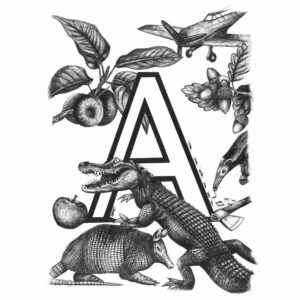 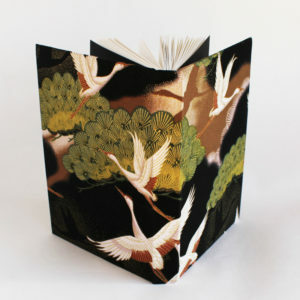 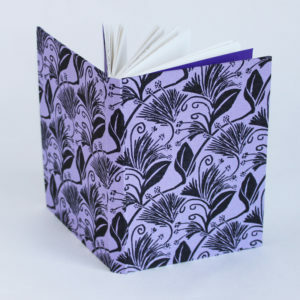 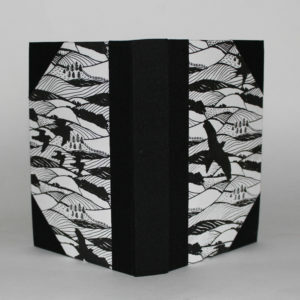 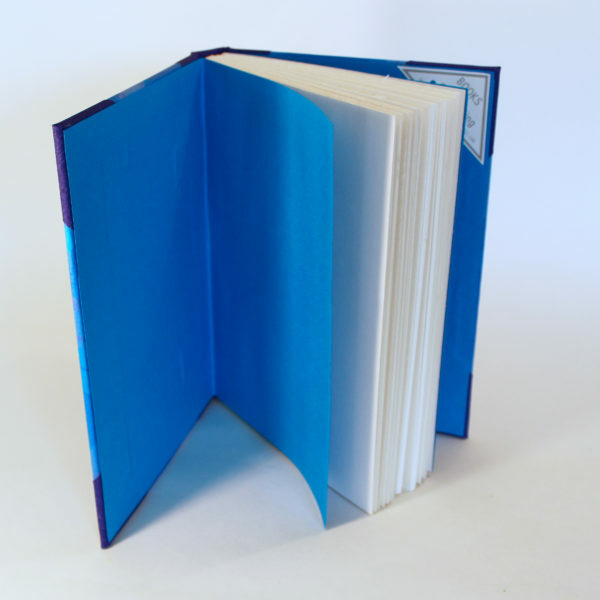 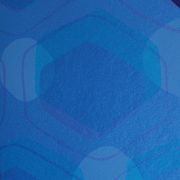 This hand stitched and bound, individually created book has hardcovers and contains white cartridge paper suitable for most uses- 140gsm acid free and FSC accredited. 80 pages, 160 usable surfaces. 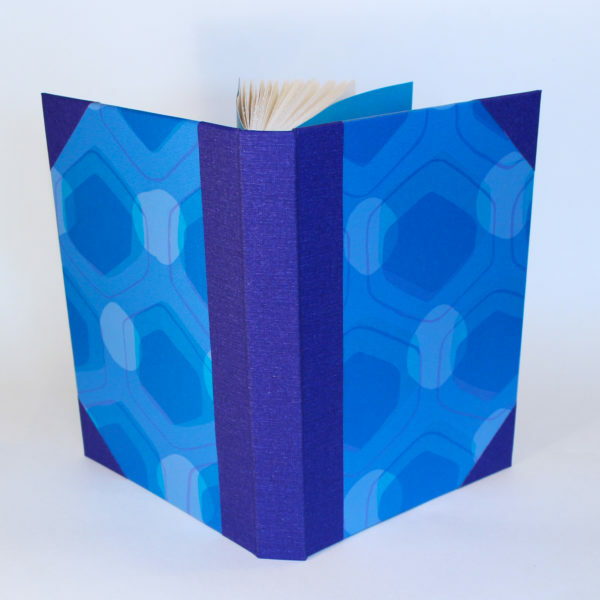 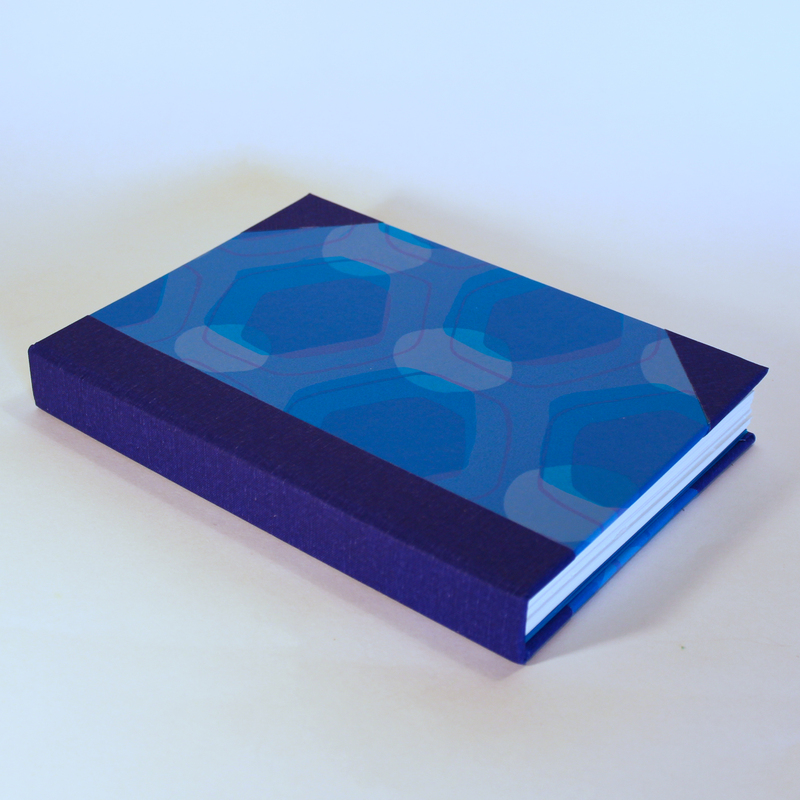 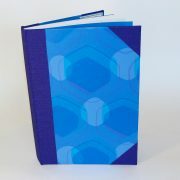 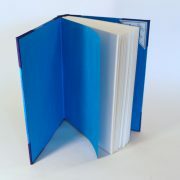 Beautifully bound with my own hand pulled, silkscreen printed paper and finished on spine and corners with matching blue bookcloth. 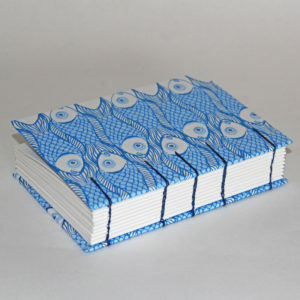 Perfect gift for artist or writer.